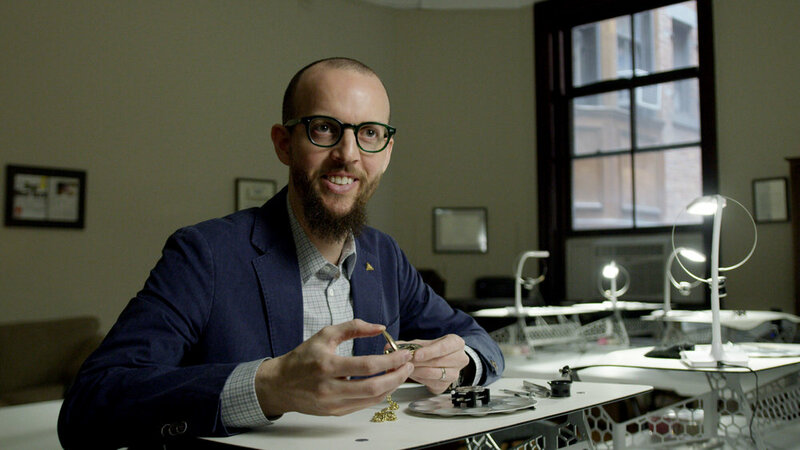 Nicholas Manousos is a watchmaker, co-founder of Firehouse Horology, President of the Horological Society of New York, Technical Editor for Hodinkee.com and Horological Consultant for this film. The exquisite damaskeening finishing on the Elgin railroad grade "B.W. Raymond" movement. 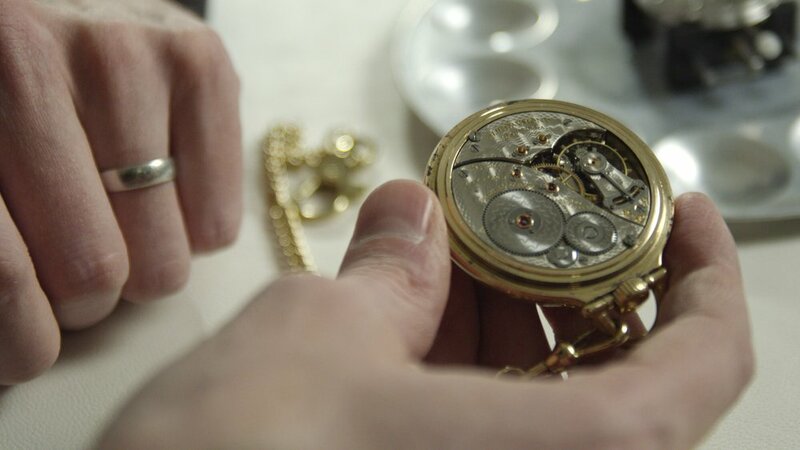 "This pocket watch movement is an engineering lesson inside a history lesson inside a beautiful painting. I don't think there are many other physical objects in the world now that really have all these attributes at once. That's why mechanical time keepers are so fascinating and magical to me." Nicholas shows us his Elgin "B.W. Raymond" railroad grade pocket watch. 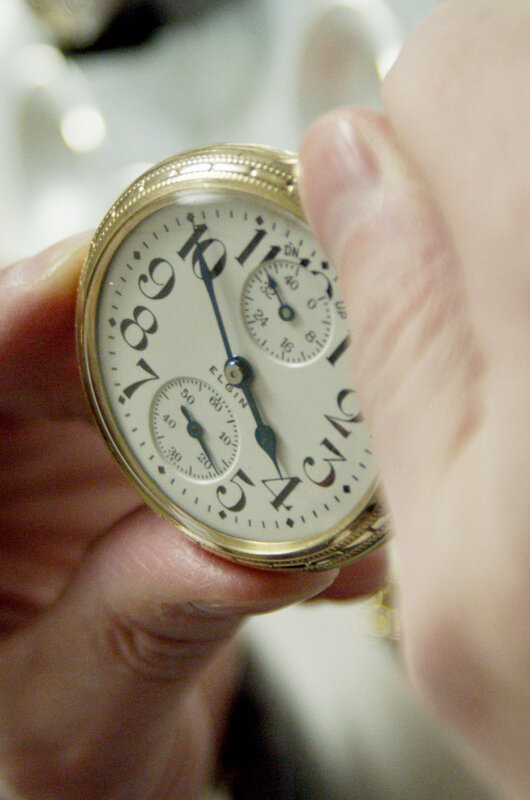 This particular watch was produced in 1914. At the time it was common for American watch manufacturers to name their highest grade movements after the owner of the company. Benjamin Wright Raymond raised the initial capital to start the Elgin National Watch Company in 1864 (originally just called the National Watch Company). Michael Culyba May 18, 2018 RGM Watch Co.